Are you nervous about pulling the trigger on a possible new paint job? It's only normal to have a bit of decision paralysis on such a seemingly big decision. What colors do you choose? What happens if you change your mind once it actually dries on the wall? What happens if–gasp–you don't like it? We consulted several of our favorite designers to ask them what exactly you can do to prevent any paint-related disasters from occurring in the first place. Read on for their helpful tips. Abbe Fenimore of Studio Ten 25 echoes the sentiment on our collective minds when it comes to being overwhelmed with all.of.the.colors. "Using paint to update a room or piece of furniture sounds simple, but once it's time to finalize a color, most people begin to doubt their decision or change their mind. I always ask my clients to trust their first instinct and the decision they made when they started planning the overall look of the room." "If you are designing a whole room and a paint color is part of the mix, choose the color after you've selected some of the bigger furnishings. This will ensure a cohesive look, and will give you the ability to pair the paint with predetermined details like the color or pattern of the fabric on your sofa," explains Edyta Czajkowska of Edyta & Co. The bottom line? 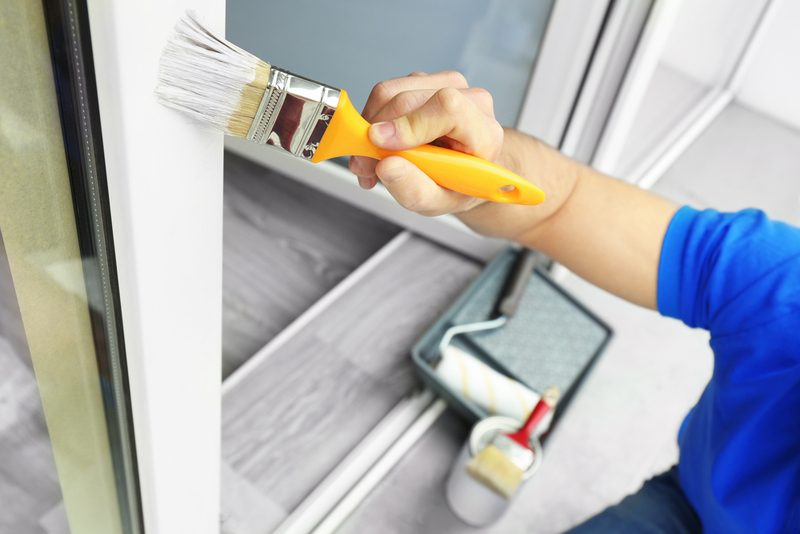 Paint color is a lot easier to change than purchasing new pieces of furniture, so if you're considering a complete overhaul, the paint can wait. When it comes to narrowing down your color choice, there is one surprising element that will make a world of difference, according to Amy Sklar of Amy Sklar Design. "If possible, when choosing paint, try to go for ones that are really saturated with pigment. Whether it's a light or dark color, the more saturated a paint is, the more depth it has, which makes how it responds to light throughout the day really special. Two companies that make wonderfully saturated and complex paints are Portola Paints and Farrow and Ball, and most recently, the Century collection from Benjamin Moore." It turns out paint testing location actually plays a crucial part in the testing process. "If possible roll it out next to the trim color you will be using and away from any other distracting colors in the room," suggests Kristen Peña of K Interiors. "If you don't have the patience and just want to get it done, my best advice is to always select the lighter shade of the ones you are considering. People always think they want more color but when you get it on the wall, less is always more!" Czajkowska also offers a word of warning to those who might be tempted to stop by the hardware store and call it a day. "Opt for large sheets of the paint sample you are considering or get a sample jar so that you can paint a large enough area to view it at different times of day. The light can manipulate the shade of your paint and change its undertones drastically. Whatever you do, don't choose the paint based on a tiny one-inch color swatch from the paint fan deck!"